It's official! Spring is now in full bloom. April in Paris, and all that jazz. The trees are leafy green and the temperature is getting very friendly. 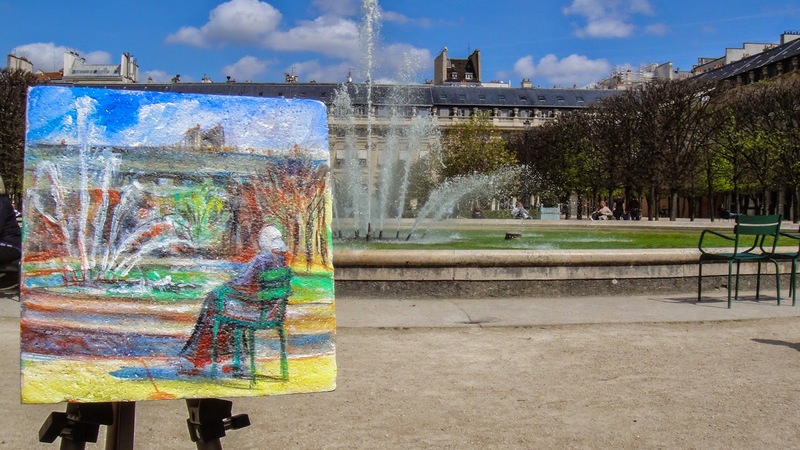 It even got a little hot while I was painting this one in the lovely garden at the Palais Royal. I headed over to the 1st arrondissement to do this painting so I could catch a glimpse of the Paris marathon on my way. I wished I could have been running in it, but since I wasn't registered, I was very happy to be doing something else I love: painting. Luckily, I found another soul enjoying the sunshine in the garden that day. I wonder if she noticed me painting her? In any case, I hope someone finds this one and enjoys it as much as I did! 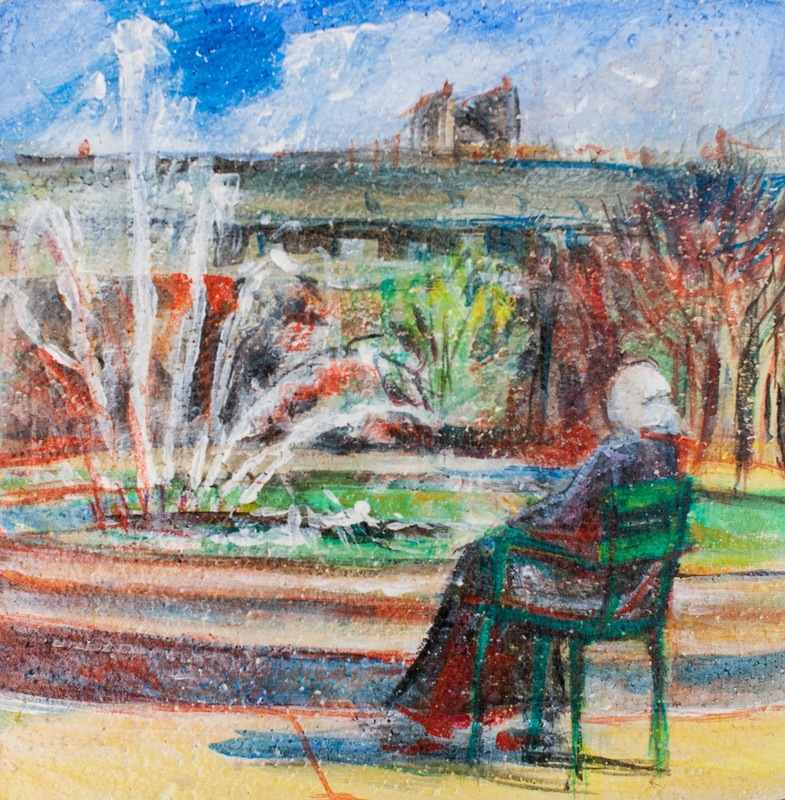 This painting, acrylic on found Styrofoam block, 22.25 cm x 22.25 cm, was left in the garden at Le Palais Royal, in the 1st arrondissement of Paris on April 23rd, 2015 at 4pm.